What we do not like is her choice of footwear with the outfit. Her new hairdo is chic and so is her makeup. But the whole ensemble feels a bit too cluttered. We feel she over accessorized. She could have skipped one bangle and the belt seems unnecessary. If she wanted a more fitted silhouette, a light silver kamar band from Amrapali, would have worked better. 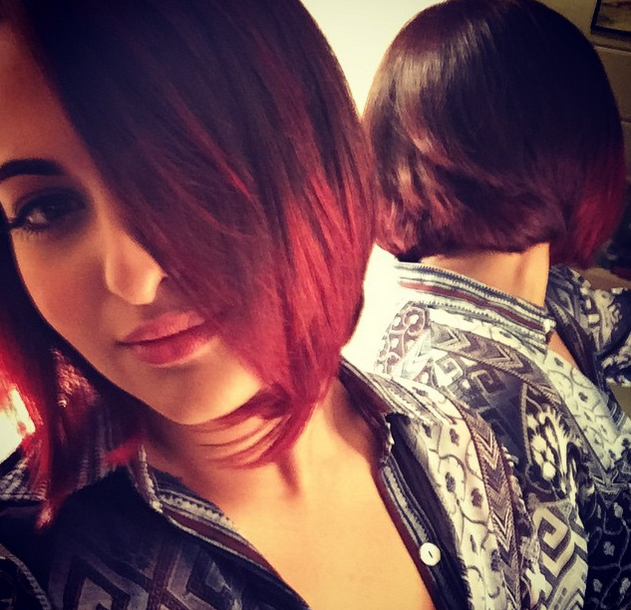 After a new bob hair do, now Sonakshi surprises us with new ombre highlights. She was in Mithibai college to promote her film Tevar.